Cynthia Zukas’ contribution in promoting art in Zambia and internationally has not gone unrecognized, as such, Her Majesty, Queen Elizabeth II has awarded an MBE to Zukas, in recognition of her services to visual art and to charitable work in Zambia. British High Commissioner to Zambia, James Thornton, announced the honour last week in a statement. 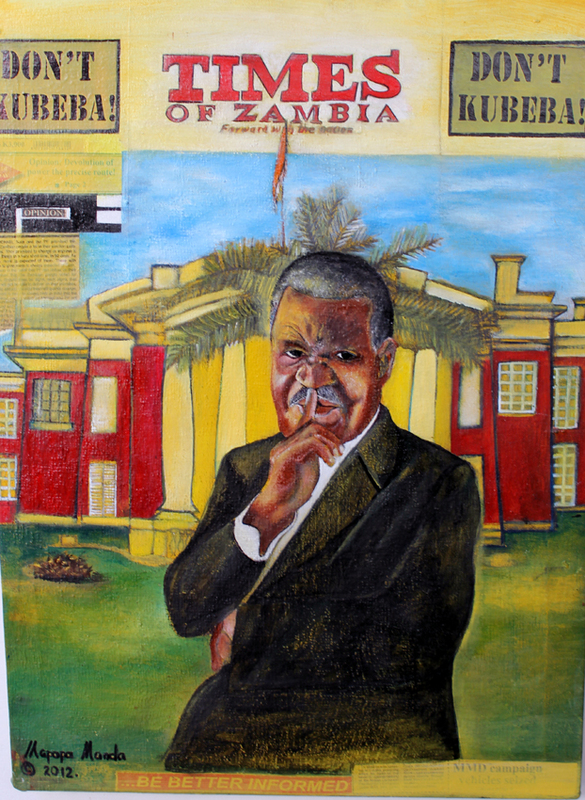 Mrs Zukas, founder and chairperson of the Lechwe Trust for the visual arts in Zambia, created a historical archive of Zambian art spanning over 50 years by collecting artworks that would have otherwise been lost. 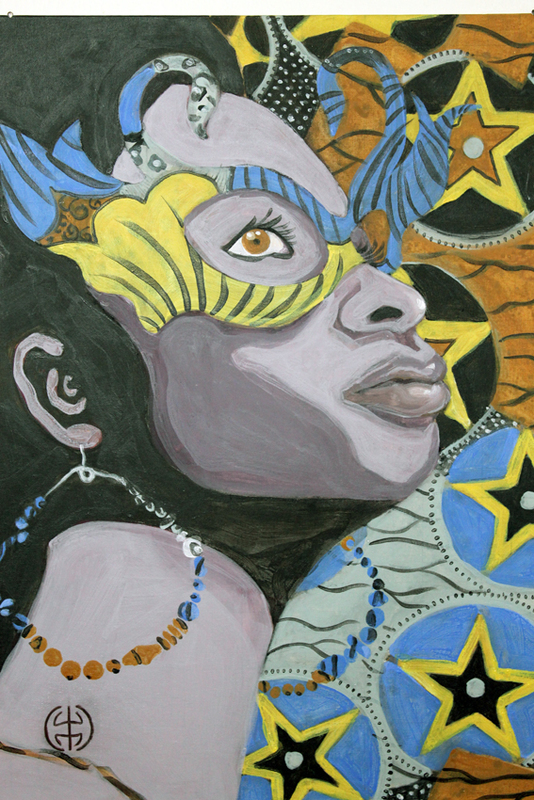 She teaches art and has provided scholarships to many under privileged people to study art locally and at universities overseas. Born in Cape Town in 1931 and now well in her 80s, Zukas is a graduate in Fine Art from the University of Cape Town. She has produced, co-ordinated and supported the arts in Zambia from personal resources since the 1950s. Although she conveys gentleness through her paintings, she courageously campaigned for the African National Congress (ANC) during Zambia’s freedom struggle and in 1951 got into trouble with the racist regime of the time. This pressed her family to send her to London for a one-year art teachers' course. While in London, she met freedom fighter and outspoken political leader Simon Zukas whom she married three years later. She is also a strong voice in the campaign for a Zambian ministry of arts and culture and has taken on government in interviews over the years because she believes they (government) must honour artists by building them modern infrastructure. In 2011, she was honoured by the Press Freedom Committee of The Post Newspaper (PFC) and granted the Julia Chikamoneka Freedom Award. 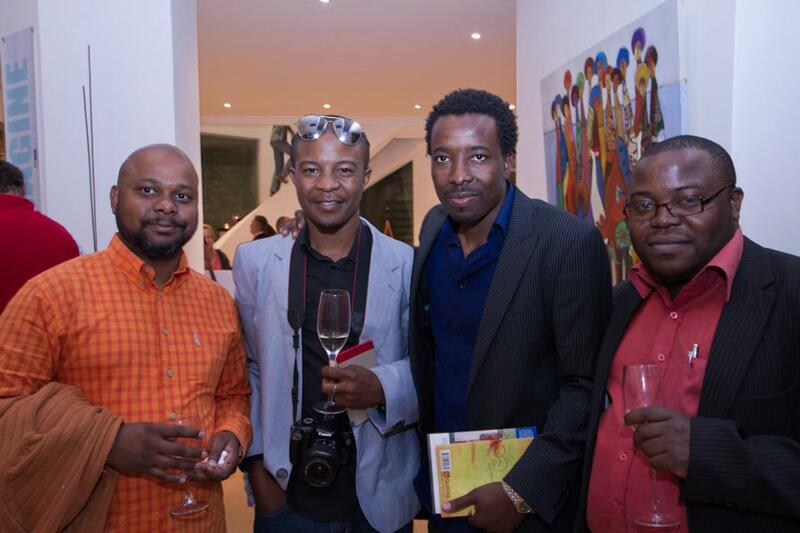 Outsiders may be unaware that the realms of the Zambian visual arts scene are notoriously factionalized and antagonistic, a truth that many insiders would want to ignore. A truth that some allude has seen the detriment of the sectors development and characterized hot-blooded Visual Arts Council (VAC) annual general meetings over the years. 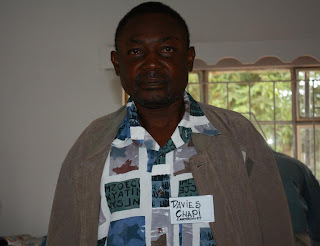 Needless to mention the one held just recently and ushered in the Mulenga Chafilwa led executive is considered by some Livingstone and Copperbelt province members to be none-representative of the country’s 10 provinces. Nevertheless, this seemingly argumentative atmosphere seems to be cast aside in The First Annual Fundraising exhibition now showing at the Henry Tayali Gallery in Lusaka. Clearly one of the most exciting shows the gallery has seen in a long time, it is an absolute pantheon of the biggest names in contemporary Zambian visual arts. Imagine Victor Makashi, Poto Kabwe, Patrick Mumba, William Miko, Style Kunda, Lutanda Mwamba, Lawrence Yombwe and the late Shadreck Simukanga in the same place to name more than a few. With this exhibition, the sole curatorial objective is to display the art, so it does not have any specific theme and is therefore not conversational. Every piece is unrelated. Works contain everyday life, politics and nature but the display does provide an intelligent and lucid group show and credit must be given to the curators. 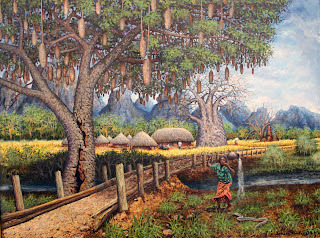 As you enter the gallery on your immediate right, you find Sausage Tree, a large painting by self-taught Dabson Njobvu renowned for winning first prize in each of the 3 (and now defunct) Mobil Art Competitions. 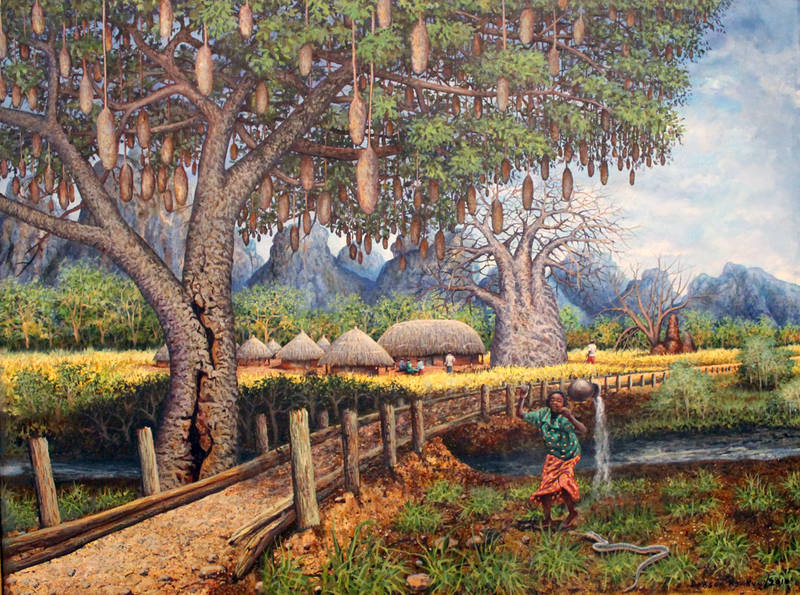 The painting depicts an idyllic, undisturbed domestic rural scene with a meticulously painted sausage tree laden with fruit by a river and bridge, baobab and village in the background. In fact, the imagery of the landscape is so powerful it obscures the young woman in the fore who drops her pot filled with water after encountering a huge snake. Up ahead is a very interesting social commentary by Poto Kabwe entitled Bana Chimbusa after the older women that educate and guide young brides before their traditional wedding nights according to the Bemba and customs. This scene however, depicts a modern day ‘Kitchen party’, a pre-wedding episode that is held to help the bride stock up on brand new kitchen utensils. 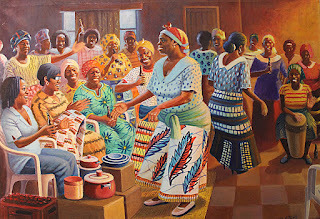 Of late, these all-women parties have become fodder for popular bar talk among the men folk because of the heavy drinking, strong language and sexually uninhibited dance moves displayed by the not-so-young matrons of the events. 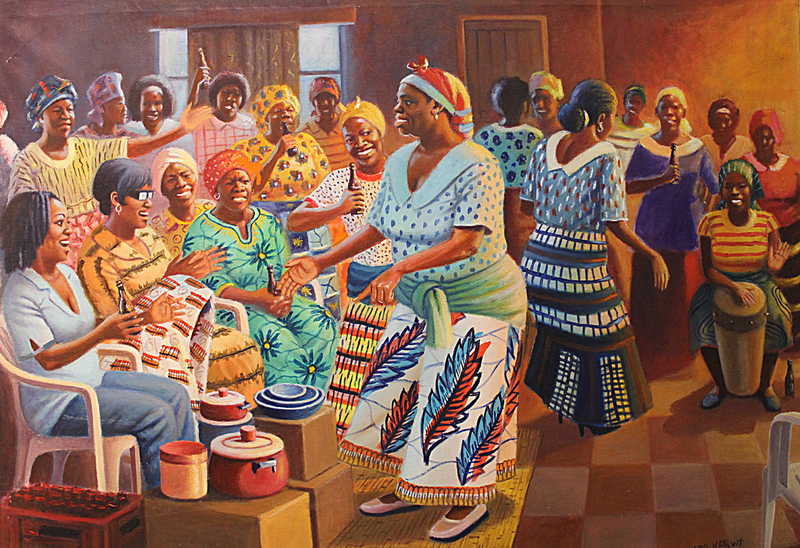 Kabwe’s painting depicts a seated young woman receiving boxes of gifts while elderly women beat drums and dance. Almost every woman in the room has a beer bottle and in the left corner of the painting is an untouched crate ready for consumption. Anyhow, somewhere in the gallery is a mixed media painting entitled Plot 1, by Mapopa Manda an upcoming artist who was under apprenticeship with popular painter Stary Mwaba for four years. Here, whether knowingly or not, the young artists can be commended for grappling with an issue that is a hot topic in the townships. Many grass root citizens were so expectant of an improved standard of living within 90 days but feel let down, wondering whether their vote was worthwhile. The youths are still unemployed and can no longer find solace in Utujilijili the now banned, reasonably priced, pocket-sized liquor sachets. Worse still, they can only access Chibuku or opaque beer that they can barely afford in the late afternoon, as drinking places are no longer opening in the mornings for fear of the now vigilant authorities. One would speculate that it is just the recent unifying force of the national football team’s good performance that is keeping turbulence at bay. Of course, Manda may have his own interpretation. He says as a political commentator his work is part of a dialogue that is executed in format series. His subject matter looks deeper into the conflict of interest related to societal development as far as politics are concerned and involved. “My art is inspired by political current affairs, is the reason why I use newspapers in my paintings. I feel Times of Zambia represents political history, The Post controversy and the Dail Mail, everyday issues,” says Manda. Bought by a foreign dignitary, Manda’s Plot 1 is one of the handful of paintings that has sold in this fundraising exhibition. Again, it is unfortunate that a fundraiser turns out a flop and fails to serve its purpose. But we cannot entirely blame the gallery or organisers. External factors such as general lack of public and private support, individual tastes, reviews, publicity and the health of the economy come into play. 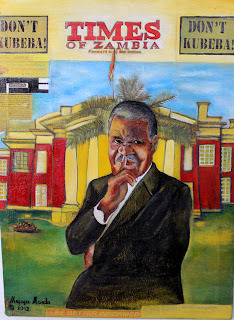 Speaking of which, there is much speculation by some economists that the rebasing of the Zambian Kwacha has fuelled inflation and therefore people are not spending much on anything let alone art. Social justice and developmental issues cartoonist, Davies Chapi was buried on Tuesday afternoon at Lusaka’s Chingwere cemetery. Survived by wife Esnart, eight children and three grandchildren he passed away aged 55 at his Zingalume home last Saturday, in the early hours after a long battle with diabetes related complications that lead to heart failure. 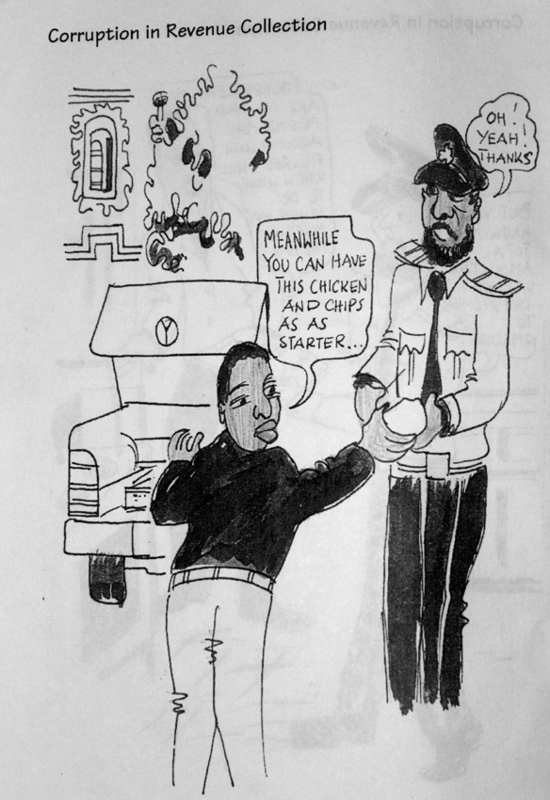 Prominent among those who attended the funeral included his long time patron Transparency International Zambia Executive Director Goodwell Lungu as well as fellow cartoonist and civil activist Kiss Abrahams. In an interview Lungu said Chapi was a committed artist and his passing on has left a big gap in the production of cartoons for social change, and that as TIZ they are going to miss him but hope they will meet him in heaven. He says TIZ will continue to work with cartoonists and artistes such as comedians to get messages across and that this was the best way to honour the late Chapi. In addition, Abrahams who had worked closely with Chapi on several projects since 2004 described the death of the artist as the loss of a resource and an opportunity to inspire young artists to explore social development art. 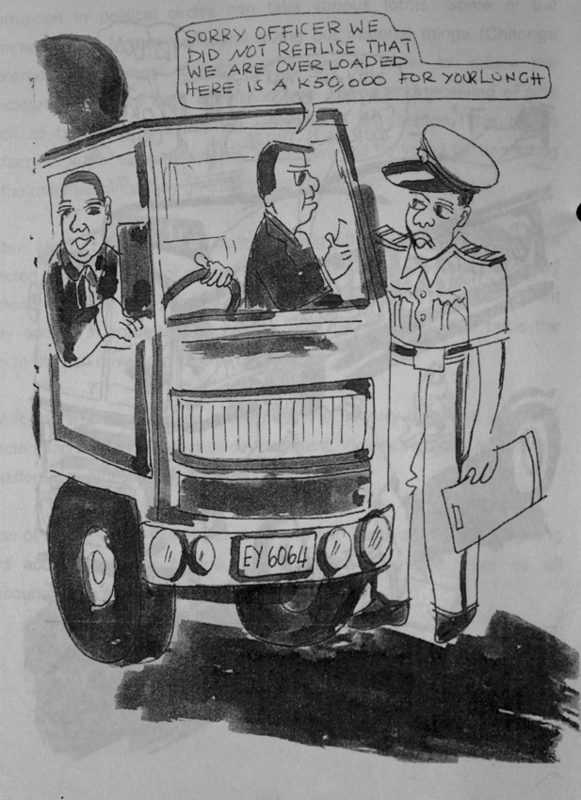 Abrahams later called on him for the ongoing Flip cartoonists’ magazine this year. “We have been pairing up writers with artists and the process took up quite some time. We noticed it was taking its toll on him when he eventually stopped coming to the (Flip) office until Saturday when I received a call that he had passed on.” He explains. Despite his swollen and aching feet, Chapi would travel the distance from Zingalume to Chelstone to take up his cartooning duties at Flip. He says it is sad that Chapi dies a poor man in terms of economics, although rich in that he was able to do something that he enjoyed and was so passionate about. He says the death is once again a tragic and frightening reality with regards the welfare of artists in Zambia. Chapi would often do his own conceptualisation, which is quite rare for an illustrator; he did this for a number of projects including several volumes of the 40-page, but now defunct Anti-Corruption Commission comic books.